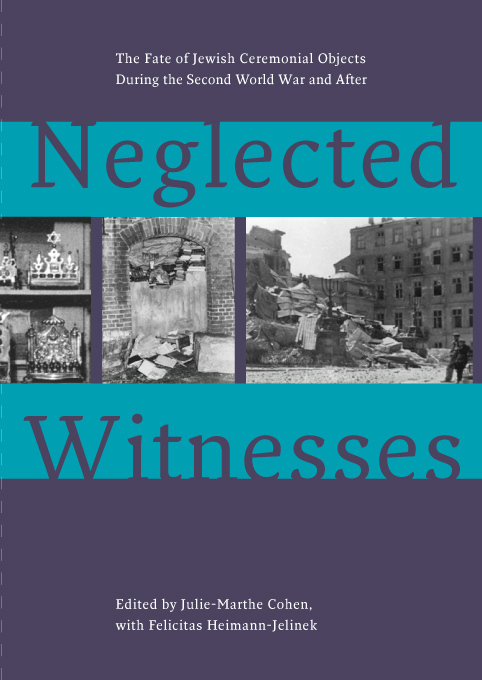 A number of recent publications have explored what became of art looted during the Second World War and its aftermath, but little attention has been paid to the fate of Jewish ceremonial objects used during synagogue services and in private households. Like other cultural artefacts, ceremonial objects were silent witnesses to a historical period of profound injustice. In this book, museum professionals from Amsterdam, Vienna, Prague, Budapest, Frankfurt, Warsaw and Los Angeles, along with a number of other researchers, tell the story of these objects for the first time: their looting, their rediscovery, the difficult process of restitution and their worldwide dispersion after the war to locations that often remain unknown. Within the context of European history, the articles explore the complex web of interests and relationships between the victims, the perpetrators, the Allies and the Axis countries. They do not address claims and restitution issues, but seek to foster understanding of the diverse range of situations in the many countries confronting these issues, situations arising from specific historical and political events during and after the Second World War. The book is also a valuable reference work with photographs and the texts of the international agreements on provenance research and restitution.